The city of Edmond has a large assortment of sports programs for youth and adults to enjoy. It has the finest facility which makes the city a major draw for sporting events and tournaments. Residents of Edmond have the advantage of having great accessibility to NBA basketball and AHL hockey because of the city’s location in the Oklahoma City Metro Area. Oklahoma City has a lot to things that they can be proud of and Mother Nature has provided the city with impressive scenery for your eyes to feast. If you are a nature lover, you can explore the city’s natural resources and admire its beautiful landscapes. Marvel at the fascinating waterfalls, hike along the road alongside its breathtaking view. Natural Falls State Park is a one of the beautiful place to go to here at Oklahoma. It’s a stunning waterfall at the heart of Oklahoma State Park located just a few miles west of the Arkansas state line city of Siloam Springs. Located 5 miles (8.0 km) north of Wilburton, Oklahoma, on State Highway 2 is Robbers Cave State Park. This place is popular among rappelllers, hikers, outdoor lovers and equestrian. It also offers residents and tourist a lot of fun and exciting activities like trout fishing in season, boating, hunting, mountain biking, trails for hikers and horses, sandstone cliffs for climbing and rappelling, and fall foliage viewing. Buying your dream home can be very exciting but at the same time a very important decision to make. 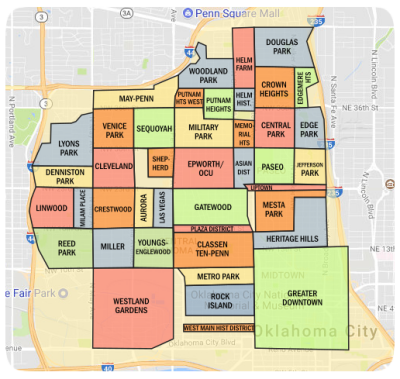 Look no further because Edmond has one of the impeccable and exquisite neighborhoods in the city. Located just four miles north of the Kilpatrick Turnpike, Stonebriar resides on Northwest 192th just east of western on the north side of the road. It's conveniently located with easy access to both Edmond and North West Oklahoma amenities, a very appealing neighborhood with fantastic conveniences. Stonebriar is a magnificent neighborhood with high quality homes built by respected and professional home builders in town. Homes at Stonebriar are built with exceptional quality materials and smart design with large master bedrooms, spacious bathrooms, gourmet kitchens and open floor plan. The area is very conducive and is perfect for families because it is adjacent to transportation, shopping centers like Stonebriar Center Mall, recreation and education facilities like Cheyenne, Ross and Edmond North to name a few. In Edmond, Oklahoma there are a lot of neighborhoods with gated entry, and Stonebriar is one of the gated communities out there. This is a great way of ensuring safety and maintaining privacy of the residents. Moreover, take a dip in the luxurious swimming pools, access the clubhouse and sweat off through the half mile walking track. 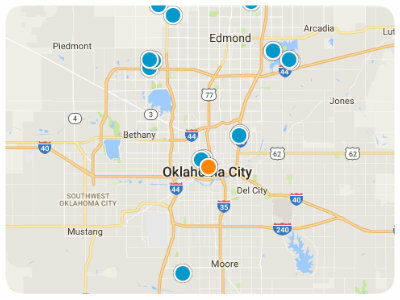 Those are just a few reasons why you should consider moving here at Oklahoma City especially at Stonebriar. It’s living at its finest.